Now in Encore! The #1 New York Times bestselling “Queen of Suspense” Mary Higgins Clark crafts a thrilling mystery in which a news reporter develops an interest in her birth parents just as she is assigned to cover the high-profile trial of a woman accused of murdering her wealthy husband. Television journalist Delaney Wright is on the brink of stardom after she begins covering a sensational murder trial for the six p.m. news. She should be thrilled, yet her growing desire to locate her birth mother consumes her thoughts. When Delaney’s friends Alvirah Meehan and her husband Willy offer to look into the mystery surrounding her birth, they uncover a shocking secret they do not want to reveal. On trial for murder is Betsy Grant, widow of a wealthy doctor who has been an Alzheimer’s victim for eight years. When her once-upon-a-time celebrity lawyer urges her to accept a plea bargain, Betsy refuses: she will go to trial to prove her innocence. Betsy’s stepson, Alan Grant, bides his time nervously as the trial begins. His substantial inheritance hangs in the balance—his only means of making good on payments he owes his ex-wife, his children, and increasingly angry creditors. As the trial unfolds, and the damning evidence against Betsy piles up, Delaney is convinced that Betsy is not guilty and frantically tries to prove her innocence. 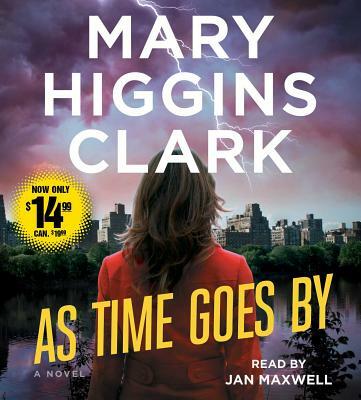 A true classic from Mary Higgins Clark, As Time Goes By is a thrilling story by “the mistress of high tension” (The New Yorker).